Automatic Clean Agent Fire Extinguishing Systems control the danger that can occur due to fire and protect all the equipment in the protected area without any damage. All products are designed and certified according to national and international standards. It allows to use various detection methods according to ambient conditions of enclosed volumes. The smoke detector, heat detector, rate of rise heat detector, linear type heat detector, flame detector or spark detector can be used according to the device or the data in the area. It detects fire precisely and quickly from the first phase of the fire. The detection zone, which works with the cross zone principle, allows detection of two zonsets and discharges HFC-227ea gas to the area in less than 10 seconds. Thus, the extinguishing process is started and the extinguishing process is completed if the gas remains in the place for at least 10 minutes. • Turnkey installation of gas fire extinguishing systems, providing periodic maintenance. 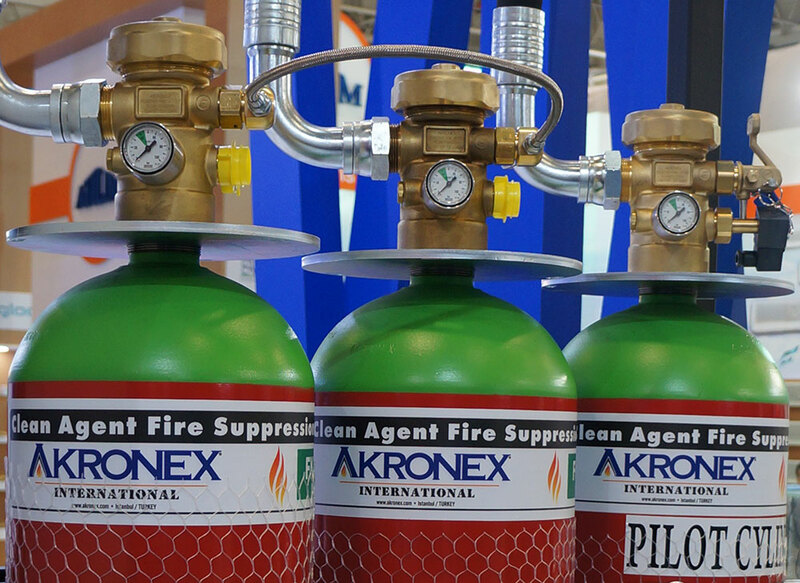 AKRONEX International Fire Engineering Inc. provides quality control system to control all components to be used in fire suppression systems.